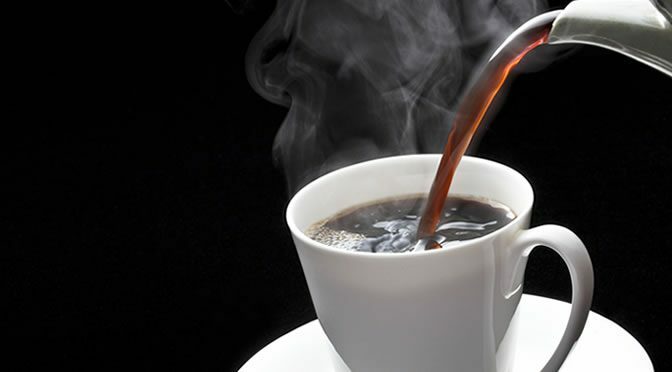 Hot drinks that are drunk above 149 degrees Fahrenheit (65ºC) can increase the growth of tumours in the esophagus. The esophagus is an 8-inch-long muscular tube located in the chest area below the throat that connects the throat with the stomach. “Enjoy your coffee or mate, but make sure it’s not very hot. More than 1,000 studies on 20 different types of cancer were reviewed by the WHO’s International Agency for Research on Cancer (IARC) group. They suggest that hot drinks above 149 degrees Fahrenheit are “probably carcinogenetic to humans” and placed piping hot drinks in the same category as DDT, HPV, frying food at high temperature and consumption of red meat. According to the National Coffee Association, coffee waiting to be served should sit at 180-185 degrees Fahrenheit (82-85 degrees Celsius), which is way above the temperature that is considered safe. In the USA the coffee drinking temperature varies from 99 to 190 degrees Fahrenheit (37-88 degrees Celsius) and the average is about 140 degrees Fahrenheit (60 degrees Celsius). Tea and yerba mate are drunk in countries such as China, Turkey, Iran and South America. They are served very hot and mate is drunk in certain countries in South America at 150-212 degrees Fahrenheit (66-100 degrees Celsius). “We were now able to evaluate more carefully the effect of mate itself from the effect of temperature, and we concluded that the observed links between mate drinking and cancer of the esophagus seem to be largely driven by drinking mate very hot. In 1991 coffee was classified as a possible cause of cancer but recently the IARC group has reviewed the evidence and found that coffee is safe for consumption. The researchers estimate that the chance of liver cancer can be reduced by 15 percent with drinking a cup of coffee per day. “For many cancer types, we found clear evidence that coffee is not carcinogenic. This study was published in The Lancet (Loomis et al., 2016).